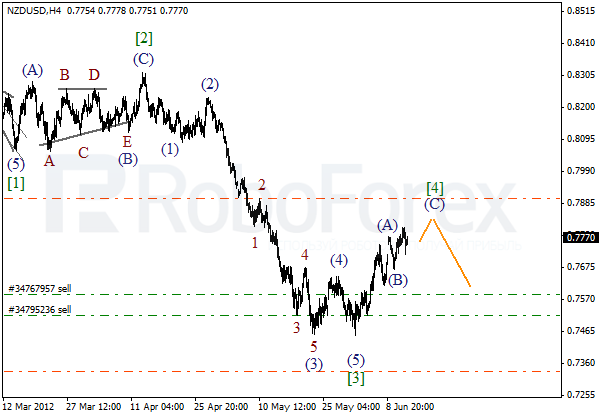 The NZD/USD currency pair is still being corrected. 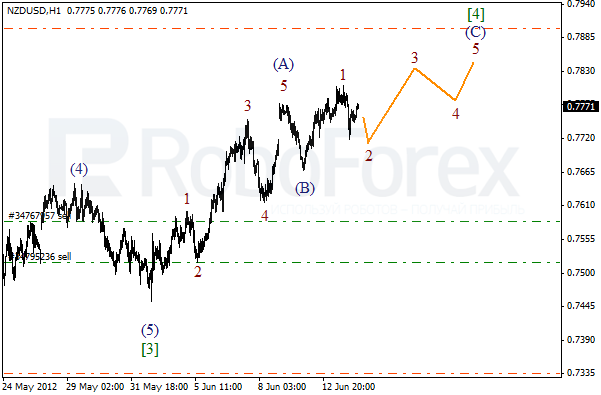 It looks like the fourth wave is taking the form of zigzag pattern with wave (C) being formed inside it. In the near term, we can expect the price to move upwards for a while, however, after that the descending trend will continue. More detailed wave structure is shown on the H1 chart. We may assume that the pair has completed the first wave inside wave (C). After the local correction is finished, the price may start growing up inside wave 3. 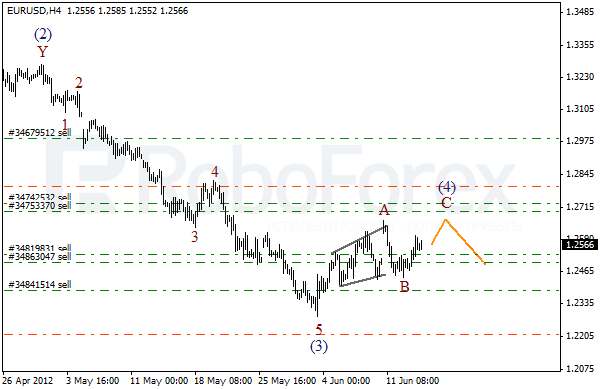 Euro is still being corrected. 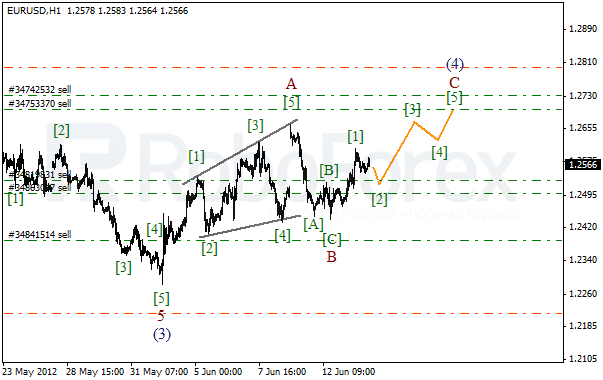 It looks like wave (4) is taking the form of zigzag pattern. The local ascending movement in wave C may continue during the day. However, after than the price will probably continue falling down. More detailed wave structure is shown on the H1 chart. We may assume that the pair has completed wave 1 inside wave C. Right now the local correction is taking place and after it is finished, the price may start growing up inside wave 3.